Aggregate spreaders are specialized equipment for spreading aggregate, and we are able to customize these spreaders to meet specific customer needs. The operator can individually control the 16 discharge gates. As a result, the spread width is easily adjustable. 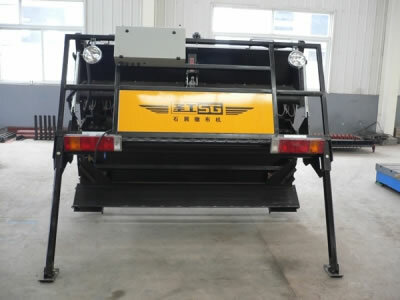 The discharge gate is equipped with a micro-adjusting mechanism to adjust a single discharge gate, thus ensuring a uniform aggregate spread. 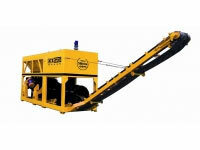 The operator can lift the hopper using the operator cab or operator console. 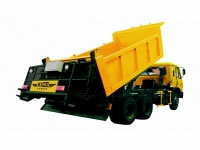 The aggregate spreader is equipped with a lighting system for operation at night. The alarm limit switch will automatically alarm to warn the operator when the hopper is lifted to a certain height, ensuring construction safety. 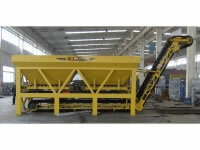 The aggregate spreader is used to spread the aggregate within an area of 3-30mm by adjusting the inclination angle of the material separation plate and blanking panel. The gas path system is equipped with a filtration system to remove the moisture and impurities, leading to a highly reliable gas path system.